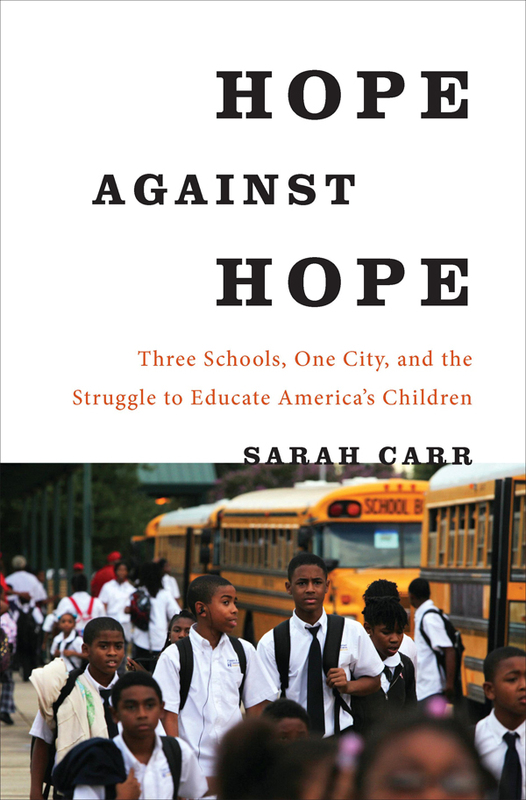 -Adapted from Hope Against Hope, a new book about the rebirth of the New Orleans schools after Katrina. One spring afternoon, O. Perry Walker High School Principal Mary Laurie made her way to the school’s courtyard, where a lone student sat at a picnic table with a large stack of papers in front of him and a frustrated look on his face. Laurie recognized the student as a shy senior with one of the highest GPAs in his class. The documents, it turned out, were all from Tuskegee University. Tuskegee had accepted the 18-year-old, offering him a full scholarship. But they required a $500 deposit within the next few days if he wanted to secure his spot. The student had no idea what to do. “You want to go to college, baby?” Laurie asked gently. The young man nodded and wandered off, a confused look on his face. If one of Walker’s top students was struggling to navigate the college-admissions and financial-aid maze, Laurie worried about how less-motivated students were faring. Earlier that winter, she had decided Walker needed to do a better job helping its students sift through the process. Now she saw how far the school still had to go. Walker employed two college counselors, but they had their hands full helping caseloads of hundreds. Laurie wanted someone to create a comprehensive data system so the school knew, at any given moment, how many of its students had taken the ACT, been accepted into colleges, and qualified for the state’s main college scholarship program, known as TOPS. Data had not always been Walker’s strongest suit. More intangibly, Laurie hoped to do a better job ensuring “everyone was speaking the same language” when it came to college admissions and financial aid. She hired Andrea Smith Bailey, the wife of assistant principal Mark Bailey, to help with these new tasks. Andrea, who was finishing a master’s degree in counseling psychology, began working at Walker part-time. But her job could have kept a team of full-time employees busy. Creating a data system was the easy part, even though new information about college acceptances, ACT scores, and grade point averages poured in daily. Translating the “language of college” proved far more difficult. The labyrinthine rules and processes surrounding scholarships, loans, and financial aid did not account for the messy realities of poor families’ lives. One senior, for instance, qualified for a state scholarship that provided full tuition at a two-year technical or community college. The student couldn’t access the money, however, because he lived on his own and had no parent or guardian to sign for him. Bailey tried to register him as “homeless” so he could sign his own forms. She discovered it took mountains of paperwork even to qualify as homeless—particularly since one of the boy’s grandmothers had falsely claimed him as a dependent on recent tax forms. “We have a lot of kids who just don’t fit in the federal government parameters of what’s a family, what’s a parent,” Bailey said. The scholarship parameters also weren’t designed with a thorough understanding of what low-income students are up against. TOPS promises qualifying students a free ride if they earn a 2.5 grade point average and score at least a 20 on the ACT. But the scholarship fails to cover numerous expenses, and this keeps many low-income students from even starting college. One Walker student planned to attend Louisiana State University through a state scholarship. But the grant did not cover the $150 he needed to get on a wait list for a dorm room, or the housing deposit. Bailey delved into the student’s financials, trying to figure out when his next paycheck from Taco Bell would clear so he would not miss the deposit deadline and find himself homeless in Baton Rouge. Bailey had worked as a family case manager for Habitat for Humanity between several education-related jobs, a position that frequently required her to delve into clients’ finances. Several times, she encountered applicants with outstanding student debt who never realized they had even signed for a loan. 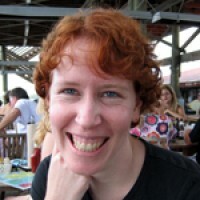 She grew convinced Walker needed to include “college-going skills” as part of its curriculum. And senior year was too late to start those conversations. Even Walker’s best students struggled to find their way through the financial aid maze. The student bound for Louisiana State University, for instance, had previously considered Morehouse College, an all-male, historically black institution in Atlanta. He asked Bailey if he could borrow her phone one morning “to make a couple of calls about college scholarships.” Bailey agreed, and a few minutes later she heard him asking someone at a college in New York for a scholarship to Morehouse. Bailey put the pieces together after some investigating, realizing the student had read something about a college in New York that was giving out scholarships. He had assumed that meant they were awarding grants to any college. “He was just trying to do whatever he could,” she said. SUNO is a part of the Southern University System, the only historically black university system in the country. The school opened in 1959 during the last gasp of school segregation—a final victory for advocates of Jim Crow. Construction began two years after the landmark 1954 Supreme Court decision in Brown v. Board of Education declared that separate was not equal. Civil rights groups bitterly opposed SUNO at the outset, since its opening seemed to perpetuate a segregation they had long decried and the high court now pronounced illegal. The school opened in its first year with 158 freshmen and 15 professors in Pontchartrain Park, a neighborhood of subdivisions created for middle-class blacks after World War II. In Laurie’s five years at Walker, she forged a friendly relationship with the college, sending dozens of graduates there each year. Laurie saw parallels between the two organizations: Both were committed to open access and serving students whom other schools would not take. Both were led by African-Americans and known for the familiar, folksy warmth with which they treated students. Both struggled at times to “keep their numbers up” in an era of strict school accountability. SUNO struggled more than Walker, though, a shortcoming that nearly led to the university’s demise. In 2009, the school posted a six-year graduation rate of 8 percent, the second lowest of any urban public college in the United States. SUNO’s critics dismissed the university in the same terms they used to describe the pre-Katrina New Orleans public schools: failing, inefficient, outdated, dysfunctional. But unlike the public schools, they added, SUNO failed to graduate most of its students and left many of them in crippling debt from student loans. In January 2011, Louisiana governor Bobby Jindal commissioned a study to explore the implications of a merger between UNO and SUNO, the only four-year public universities in the city. Most observers took the governor’s action as a sign he supported shuttering SUNO. The pushback, however, was swift and strong. Some of SUNO’s defenders worried its closure could shut hundreds of New Orleans high school students out of the chance at a college education. By 2011, SUNO was one of a dwindling number of public universities that tried to accept virtually any student, regardless of academic background. The debate over its future raised broader questions: Should universities be open to all, or serve only those with demonstrated academic abilities? In Louisiana, meanwhile, the Board of Regents was phasing in tougher admissions standards across its four-year university system. Universities can no longer accept students who require a single remedial course. To avoid remedials, students usually need to earn at least an 18 on the ACT in English and a 19 in math. New Orleans guidance counselors worry the tougher admission standards will disproportionately affect low-income minority students who, on average, score lower on the ACT. In 2011, the average composite ACT score for a New Orleans public school student was 18 on a 36-point scale. That means about half of the students who took the ACT—a select group in and of itself at some schools—did not qualify for admission to any four-year in-state university under the new standards. Walker posted an average score of 17.8 in 2011, and most of its graduates needed at least one remedial class. Laurie supported SUNO, although she remained frustrated by the segregation that defined both New Orleans and American society more generally. When Laurie thought about race relations in 21st-century America, it reminded her of “parallel play”—the term used to describe toddlers playing side by side yet utterly disengaged from each other. It depressed her to think that the nation still resembled a bunch of self-absorbed two- and three-year-olds so wrapped up in their own lives that they remained oblivious to the range and diversity of experiences surrounding them. America had mastered the illusion of togetherness. After encountering the straight-A student who had won admission to Tuskegee, Laurie summoned his guidance counselor. The woman explained that three different universities had offered him full scholarships because of his high grades. While the offers made him the envy of his classmates, the teen had no idea what to do. As deadlines loomed, he sifted aimlessly through paperwork. The guidance counselor had reached out to his mother, but the woman brushed her off. Laurie asked if there might be a substance abuse issue. “No,” the counselor said. “I guess she didn’t want me to pressure her.” Laurie pondered this for a few seconds. “Originally he wanted to go to college out West,” said the counselor. “But Mom said she didn’t want him going anyplace she couldn’t drive.” They limited their search to Alabama, Mississippi, and Louisiana as a result. Laurie thought a little more. That night, Laurie called the student’s mother. The woman said she had left the decision up to her son. Teaching students and parents the intricacies of deposits, scholarships, interest rates, and loans can help only so much. It might, for instance, have prevented the eager student from calling up a college in New York and asking for a scholarship to Morehouse. But information and knowledge aren’t enough if families and students feel so disempowered they shut down whenever the subject of college comes up or they face a crucial decision. That problem has deeper roots and more complicated solutions. It requires changing long-ingrained habits of mind and feelings of inferiority. As Laurie knows all too well, you cannot teach someone the language of college if he lacks the confidence to start the conversation.